My new obsession is MAXI SKIRTS! I’ll admit they can be kinda granny and dowdy but if you style it well it can be very sassy! I love wearing my maxi skirts with combat boots and a cropped top. 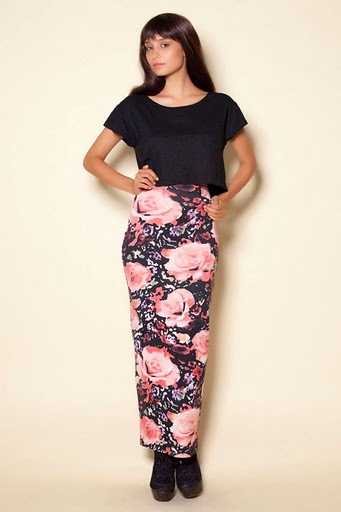 Besides maxi skirts are a perfect alternative to mini skirts during the winter season. Here I am in a striped maxi skirt from H&M. LOL i’m wearing a maxi (reminds me of maxi pad) skirt today too! i’ll post hehehehehe – i also checked out those skirts last night too bahahahaha! oh yea – where do you live now?! hahaha Oh my gee I thought i was only one who associated maxi with maxi pads!!! Don’t those skirts make you drool?! I wanna see your post!